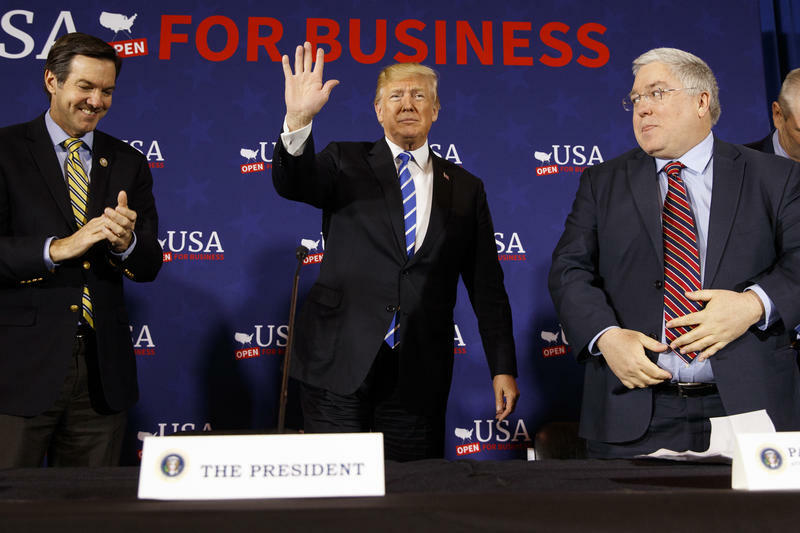 At an event in West Virginia this month, President Trump was seated between Rep. Evan Jenkins (to his right) and state Attorney General Patrick Morrisey, both of whom are running for the Senate. The upcoming senate race in West Virginia has drawn a big crowd of Republican contenders who are vying to face off on May 8 in the primary races. They're competing for the Senate seat currently held by Joe Manchin, the long standing Democratic incumbent. A group of college students in a political science course at West Virginia Wesleyan College recently made their predictions for which Republicans they think will come out ahead in the primary senate race. “We think it’s gonna be a really close race, mostly between Jenkins and Morrisey,” said 21-year-old Fairmont native, Hannah McCoy. She worked with a team of fellow students to research the senate race. Their final assignment is to predict which candidates will come out ahead. The paper McCoy and her classmates wrote is for a political science class, taught by political analyst Robert Rupp. They explored voting habits of West Virginians, and how social issues affect politics in the state. Baltimore-native Katie Kennedy observed how politics in West Virginia play out very differently than what she’s seen in Maryland. “Family is another value that we looked at in West Virginia, and Jenkins highlights his wife and kids in all of his ads,” she added. The students also considered how current events might affect voters this year. 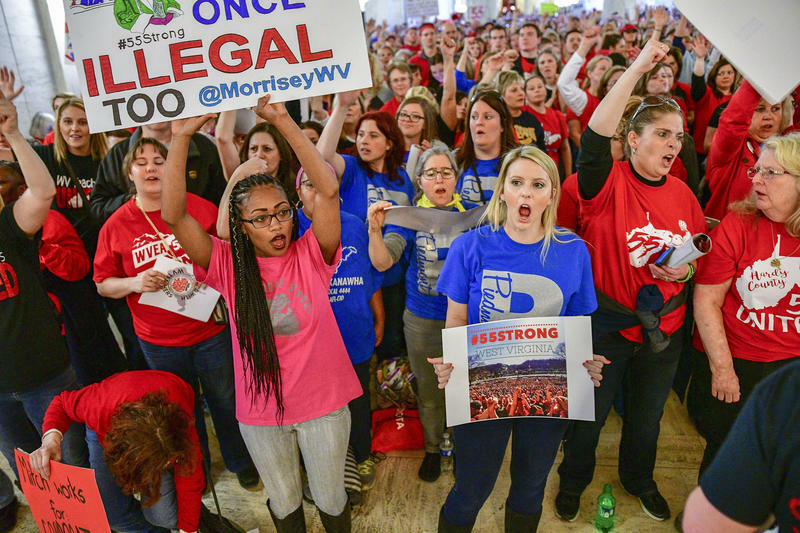 “It’s really gonna come down to West Virginia values, the drug epidemic, and the West Virginia teachers’ strike, where Morrisey said that he would help to arrest the teachers and Jenkins publicly supported them. We think that will be a game changer between the two,” said McCoy. This first group of students, made up entirely of young women, predicts that Jenkins will come out first, Morrisey second. The second group, comprised solely of young men, predicts that Don Blankenship will actually come in ahead of Morrisey. Broadwater’s team agree with the first group that Jenkins will likely win the primary. But they think Blankenship has gained a good bit of ground in the last few weeks. Rebelo, who grew up in Preston County, admits that he’s a strong Democrat. But he was surprised to learn some things about the Republican candidates, including that Jenkins publicly supported the teachers. His classmate, Broadwater, said the project has made him realize how important it is to do research before deciding how to cast your vote. 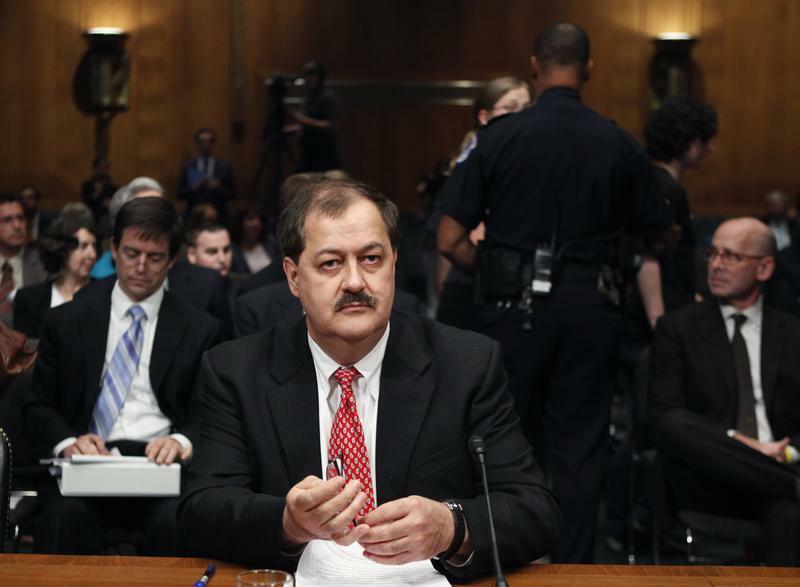 Attorneys for former Massey Energy CEO Don Blankenship are seeking to erase his misdemeanor conviction related to the deadliest U.S. mine disaster in four decades. A former lead prosecutor called it a desperate act. 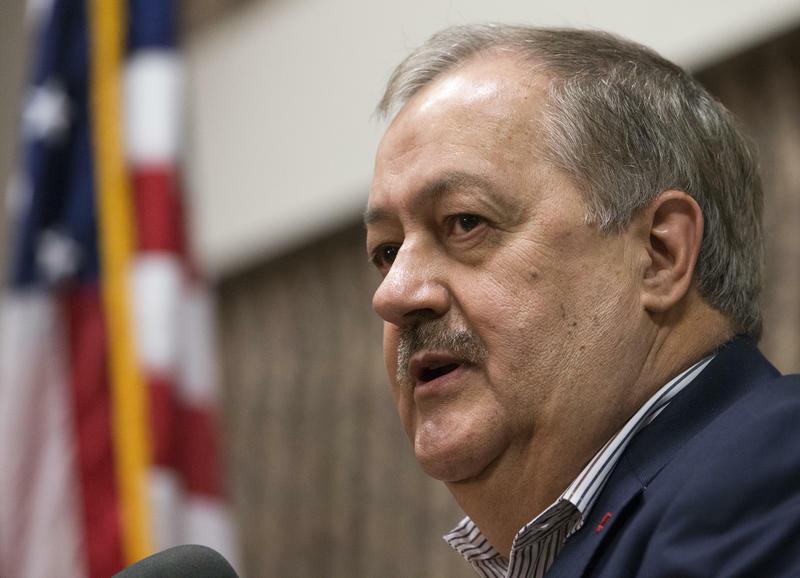 A motion filed Wednesday in U.S. District Court in Charleston claims federal prosecutors withheld information that would have assisted in Blankenship's defense at his lengthy 2015 trial. It said the government produced reports and other information after the trial's completion. There's a new fact-checking operation in West Virginia, and it buries one fact — that it's run by U.S. Senate candidate Don Blankenship's campaign.